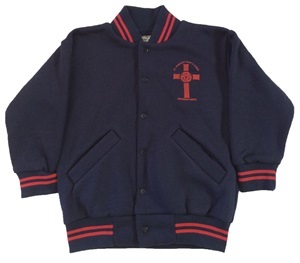 (A14 - A24) ADULT SIZED FLEECE BOMBER JACKET PLEASE NOTE: THIS ITEM IS BEING PHASED OUT, AND NO MORE STOCK IS BEING ORDERED IN. ONCE A SIZE IS SOLD, IT WILL NOT BE REPLENISHED. To find out more about the STMM 0500A - BOMBER HEAVY WEIGHT BANDS please Email or Call (+61) 3 9354 8345.